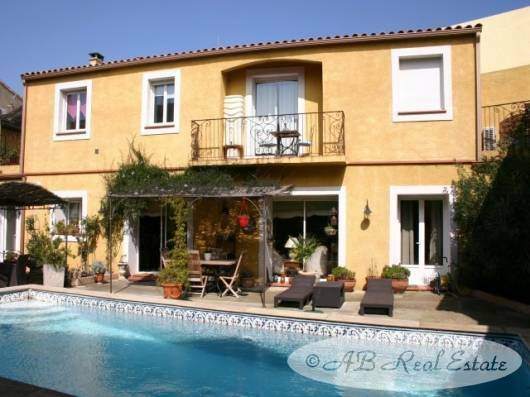 Along the canal, on 2 floors, offering a main house, 2 apartments, an independent bedroom, 7 bedrooms in total, 300m² of living surface, garage, plot of 421m² with swimming pool, all amenities at walking distance, a real commercial potential. A very convenient town house near all amenities. Can be used as a family home or as a Gite -/ B&B business. Ready to move into. Copyright: AB Real Estate. Simple theme. Powered by Blogger.